SyFy is apparently developing a drama series based on what many consider to be the most important piece of Anglo-Saxon literature ever written. 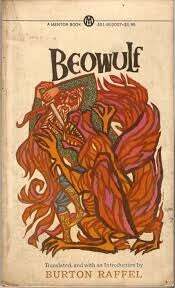 The series is being set up to further explore Beowulf's rise to his throne and his ongoing battles with the monster Grendel. Maybe Grendel didn't die after fighting Beowulf in the book? Or it's a clone Grendel, or his cousin or something? Maybe Grendel's mother, who is most likely not going to be a naked mo-cap Angelina Jolie, named all of her children Grendel, like George Foreman. Who knows. The series is being written by Matt Greenberg, who wrote the screenplay for the tragically underrated 1408. Although the idea for the series sounds like it has potential, having Beowulf continue to fight Grendel doesn't sound like a story with much long term potential. Instead, they should explore what Beowulf was up to in the fifty years between fighting Grendel's mother and fighting the dragon. This series could be made in a similar style and tone to the Spartacus series on Starz and be well done. Sadly, it's development by the cable television home of movies where '80s pop stars fight giant reptiles doesn't fill me with much hope.